The digital revolution of the employee experience continues. It started with workers bringing personal devices to work. Then, it quickly evolved into the consumerization of apps. Now, emerging tech like artificial intelligence (AI) is making its way from the consumer realm into the office. Are IT teams taking the lead in empowering employees with AI technologies, such as machine learning and virtual assistants? Or will employees again lead the revolt and demand AI at work? Is AI the new bring-your-own (BYO) technology? “Bring your own device” (BYOD) started trending over a decade ago, but many IT organizations didn’t fully support the concept until a few years passed. Instead, some banned BYOD, and some adopted a limited BYOD policy. Despite the ban on consumer technologies at work, employees worked on their personal devices anyway. IT had to reckon with the impact on security and find solutions to manage new devices and operating systems. Mobile device management (MDM) was created to help manage BYOD. Then, to support additional consumer device types and applications, unified endpoint management hit the scene. What started as a nuisance for IT turned out to be a powerful movement that benefits both employees and businesses. IT now knows that empowering employees with secure and seamless access to any app on any device results in higher performing employees and businesses. Fast forward to today and the infiltration of consumer AI technologies in business. The employee demand is similar to BYOD, but the opportunity could be tremendous. A powerful example for AI and machine learning comes from Siza, a Dutch healthcare organization that supports people with physical, mental or multiple disabilities and people with autism or non-congenital brain injuries. The company makes significant technology investments to empower these people to better organize their own lives. Ebben recalls a specific use case of a patient who uses a wheelchair with an integrated respirator. If the wheelchair or respirator fails, the patient could be in life-threatening danger. AI can enable nursing staff to respond faster to these situations. “We can use artificial intelligence and also machine learning to predict whether his respirator’s still going to work or not. And that’s the kind of stuff that we want to introduce to make sure that we can help him earlier than he knows that he needs help,” Ebben says. Alexa, Siri and other virtual assistants live in employees’ homes, ride with them to work and follow them on their phones. By 2021, there may be almost as many voice assistants as people, according to Ovum’s Digital Assistant and Voice AI-Capable Device Forecast: 2016-21. Furthermore, Gartner predicts that by 2022, 80% of smartphones shipped will have on-device AI capabilities. Following consumer adoption and changing attitudes, purpose-built smart assistants like Alexa for Business pave the way for AI at work. 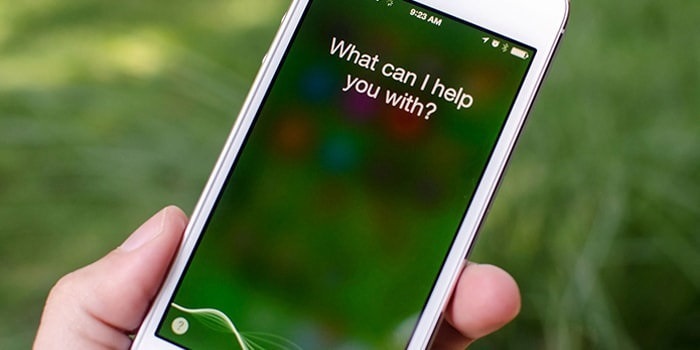 Smart assistants naturally complement intelligent smartphone apps, such as Edison, formerly EasilyDo. Using predictive analytics and deep learning, these smart apps extract meaningful, actionable data in real-time. For example, Edison proactively notifies you when it’s time to leave based on traffic patterns and meeting start times. While these apps classify as consumer offerings, it’s easy to understand why employees want these tools at work. Additionally, home-based IoT technologies are entering offices. AI-powered tech like smart speakers, coffee machines, lights, thermostats and TVs easily add value in the workplace. Because if they help make your home life easier, why wouldn’t we adopt these valuable tools at work? For IT, AI presents an opportunity to move past the BYOD “let it happen” mindset toward a new “invite and accelerate innovation” mindset. By embracing AI at work, IT not only help organizations to step in front of the technology curve, it can both liberate workers and vault business paradigms forward. At breakneck speed, machine-driven technology helps employees better work with one another and serve customers. Imagine, then, how IT could empower collaboration and innovation by combining multiple AI applications. Intelligent workflows like this empower IT to improve employee experiences, optimize resources and strengthen security. By putting employees first and embracing AI applications at work, IT leads innovation. And the likelihood of another BYOD-style revolution disappears. We know AI innovation has the potential to drive digital transformation faster than anyone imagined. And the potential benefits are hard to overlook. AI-powered automation saves workers time by reducing mundane, repetitive tasks, freeing employees to spend more time solving the hardest challenges. But AI doesn’t have to follow BYOD’s path. BYOD became a security and management debacle for resistant IT organizations. But when IT got onboard and integrated BYO into their strategy, the gains were immense. Similarly, the true power of business AI will happen when IT integrates purpose-built AI into the employee toolset. To truly empower employees and bring value to businesses, IT has the exciting opportunity to leap ahead of worker demands and deliver true digital transformation. Ahmed Auda, Managing Director for MENA at VMware.